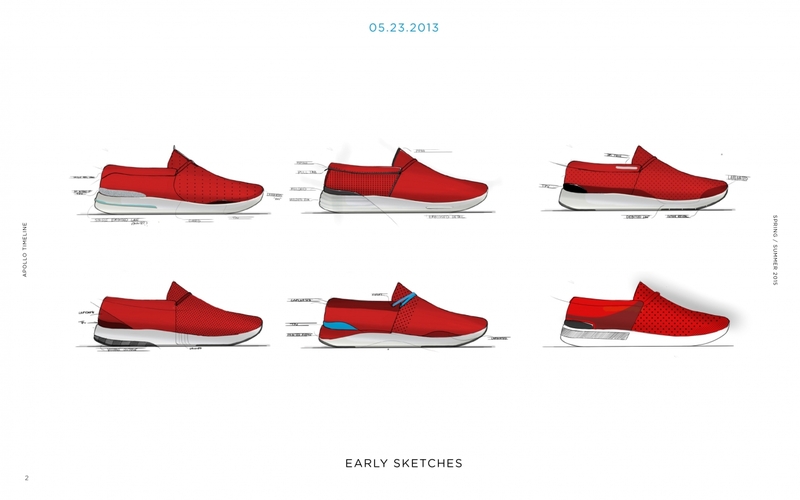 There is perhaps no shoe more universally beloved than the slip-on, a design that is dedicated to comfort and ease. But to land at the top of the pile, a product must, in the quest for functionality, bring aesthetic along with it. 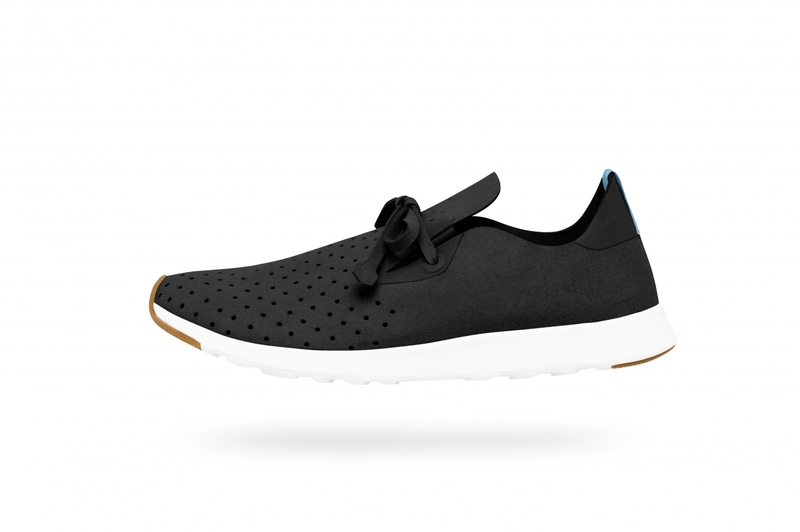 Cue Native Shoes’s new Apollo Moc, which recently launched and offers a modern take on a classic silhouette. 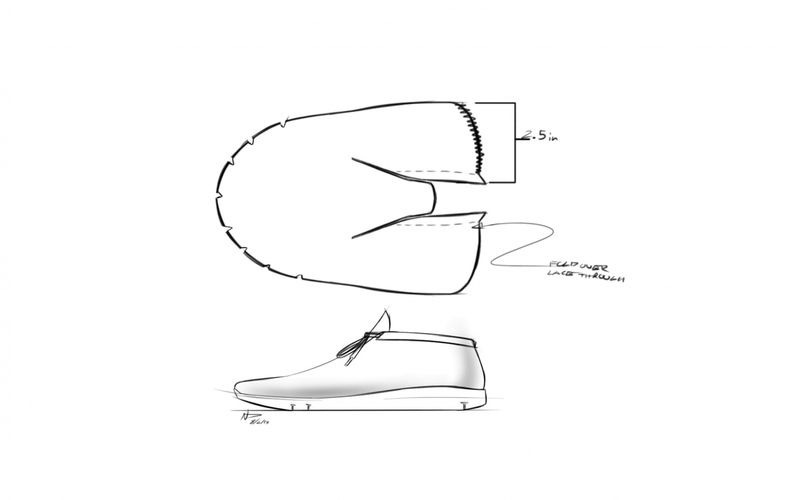 The brainchild of Native’s creative director Mark Gainor, the Apollo was inspired by the fundamental components of the moccasin—think more function, less frill and fringe. 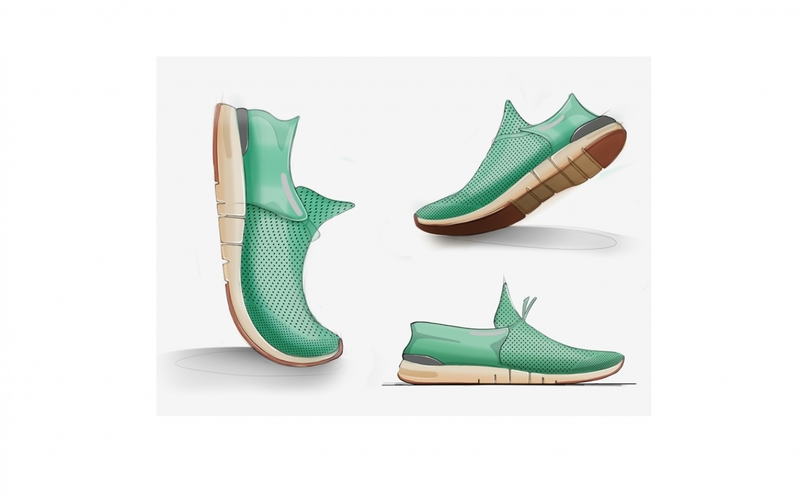 The resulting shoe looks like a sneaker, wears like a slip-on, and, perhaps most notably, feels like a feather. 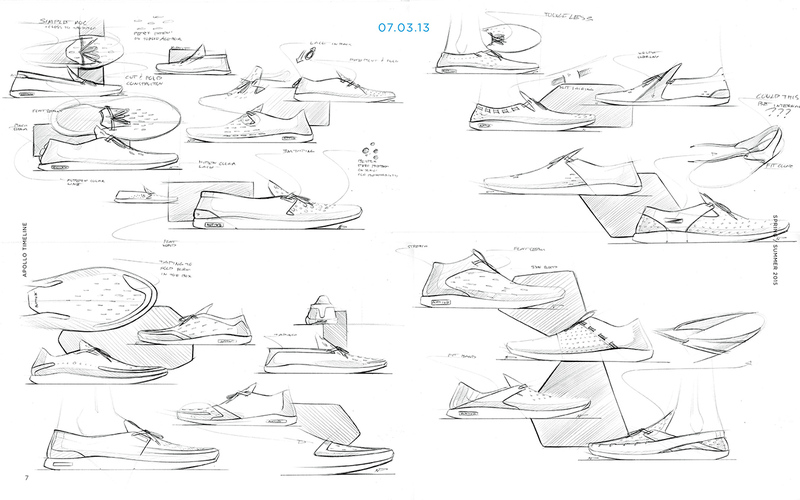 And while the final product heralds the clean and simple, creating the shoe was a complicated process that spanned 18 months. 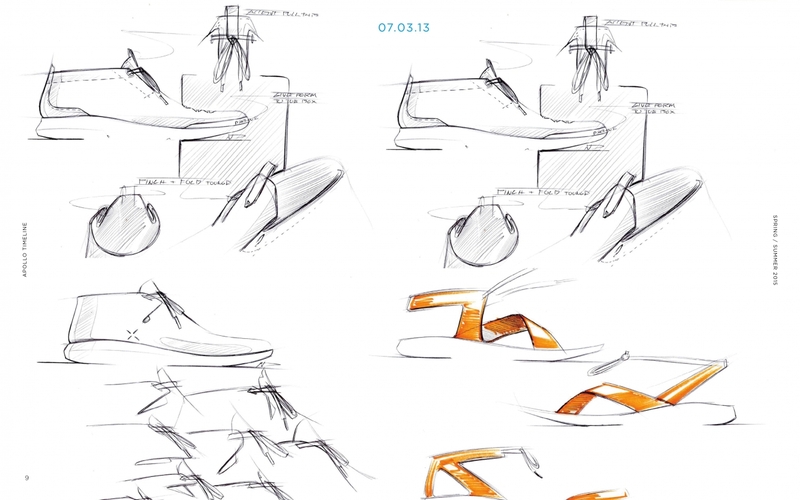 When Gainor has an idea for a new design, he is tasked with trying to put his vision on paper. 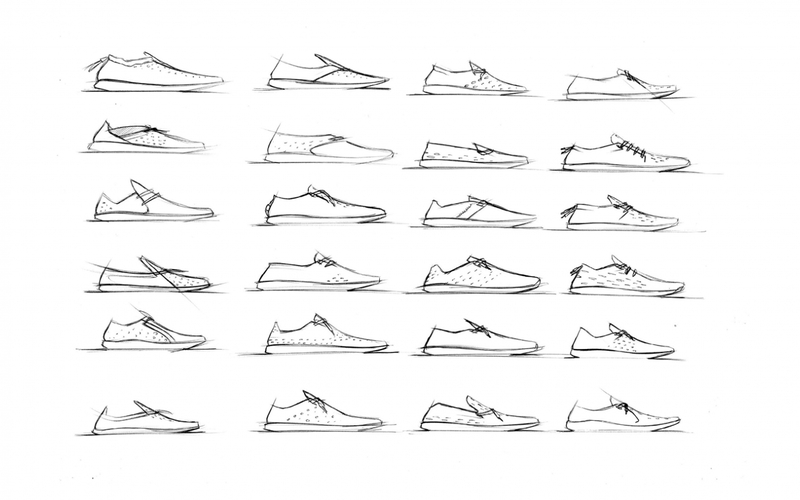 Once he lands on a sketch he is satisfied with, he brings it to shoe craftsman Raul Ojeda from Willie’s Shoe Service, an L.A.-based company that has been providing for Hollywood since 1956. 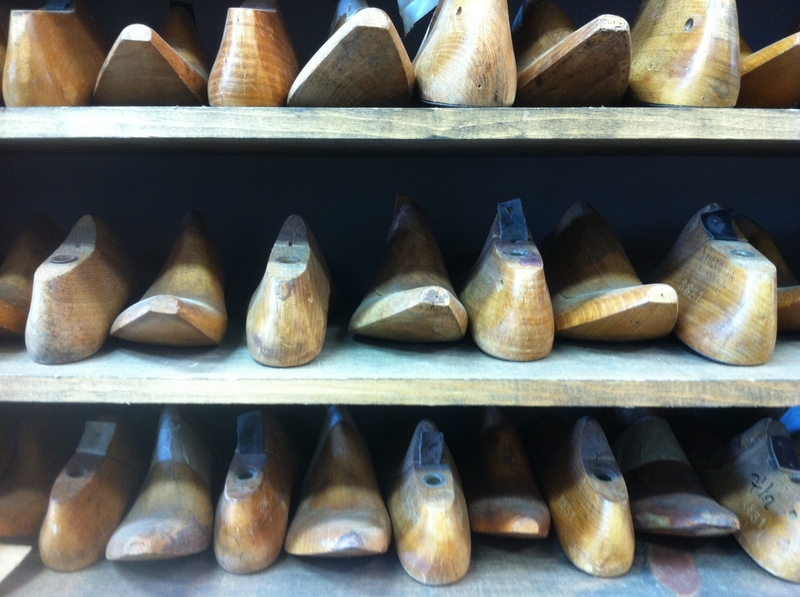 There Gainor’s sketches are made into a rough prototype: an upper pattern is created first, followed by a wooden last and then a rubber sole. 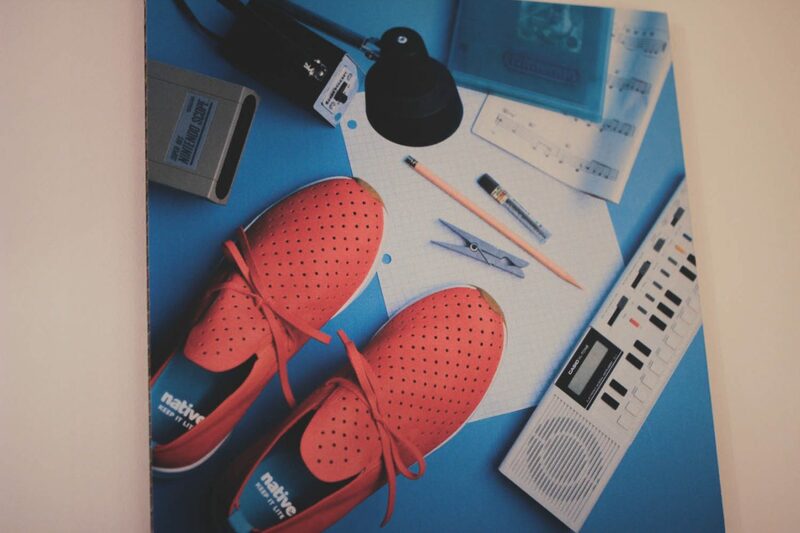 The finished sample is brought to Guangzhou, China, where the shoes are manufactured; though often associated with mass-produced items of lesser quality, China is actually a global hub for sneaker manufacturing and is leading the pack in regards to construction methods and materials. It is in China that the Apollo materials are cut, holes on the upper fabric are punched, the toe cap is put in place, and the form of the shoe is shaped. 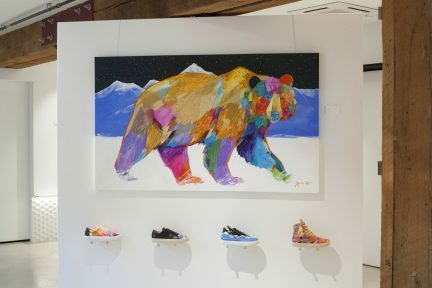 It is then assembled on an EVA midsole (EVA, or ethylene-vinyl acetate, is the cushiony material that makes Native footwear so comfortable); lastly, the shoe is placed on a heat machine where it is cured, cement glued, machine pressed, placed in cold freeze to preserve its shape, and, finally, laced and cleaned. Every aspect of the Apollo is carefully planned and considered. 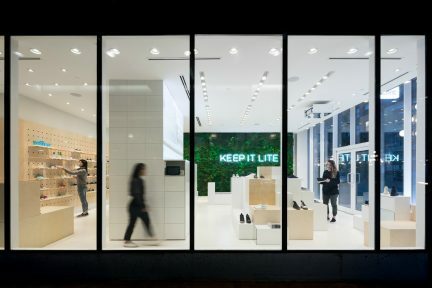 The upper shoe’s material, for example, is a microfiber blend that the Native team found after exploring options from an array of markets and suppliers. Inspired by Japanese Clarino (a synthetic, leather-like material), the fabric is easy to clean, animal-free, and futuristic. Look next to the flat, delicate laces; they serve no practical purpose, but for Gainor and his team, they complete the image. 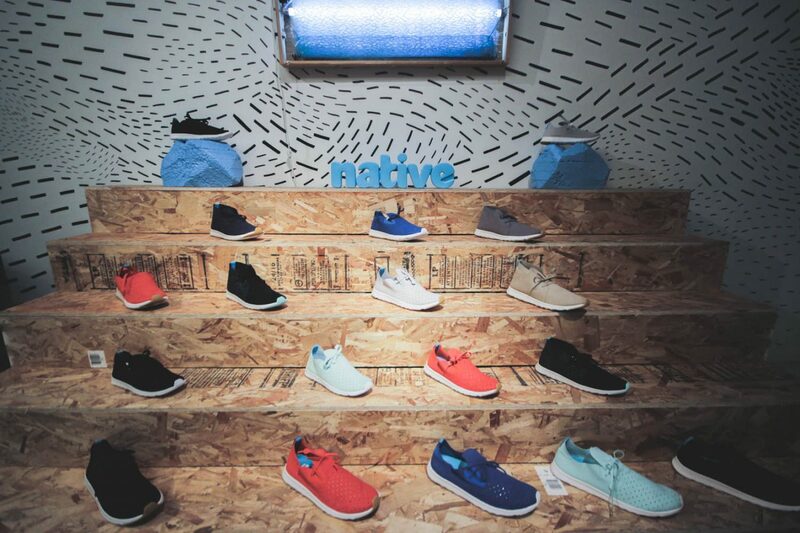 Founded in Vancouver in 2009, Native now sells its shoes in over 50 countries. Don the Apollo, however, and be transported to the moon.